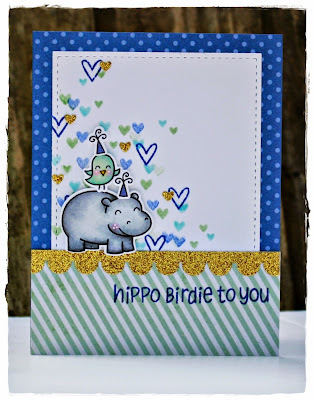 nicnakschat: Hippo Birdie to You! Popping in to share a not-so-quick make I started last night and finished this morning. The card is for my Niece who's favourite colours are electric blue and mint. The gold is pure indulgence on my part! I'm not too sure about the stamped background, perhaps it should be a lot more subtle...hey ho! Awwww so cute :) lovely colors ! This is really adorable! Nicely done! 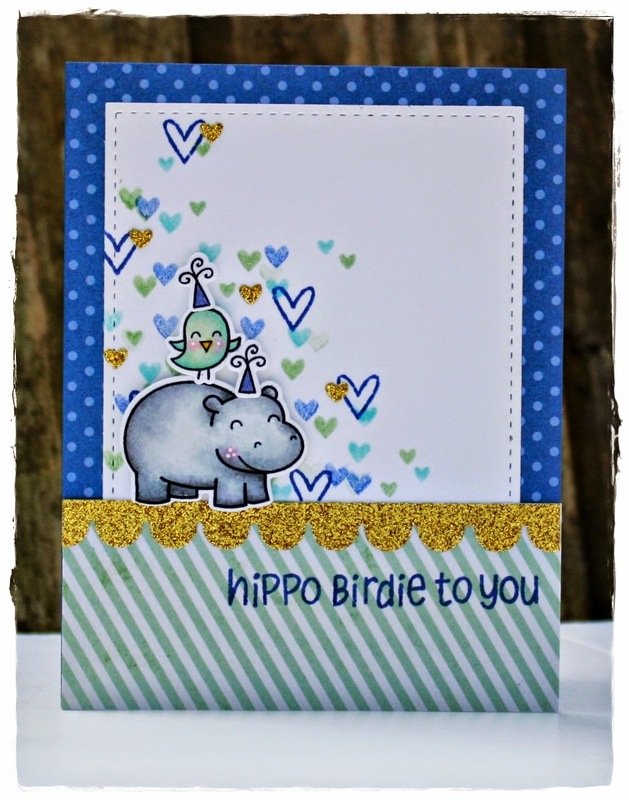 Such a cute and fun card, love it!